What you need to know about Yemen’s targets in Riyadh and Abu Dhabi? 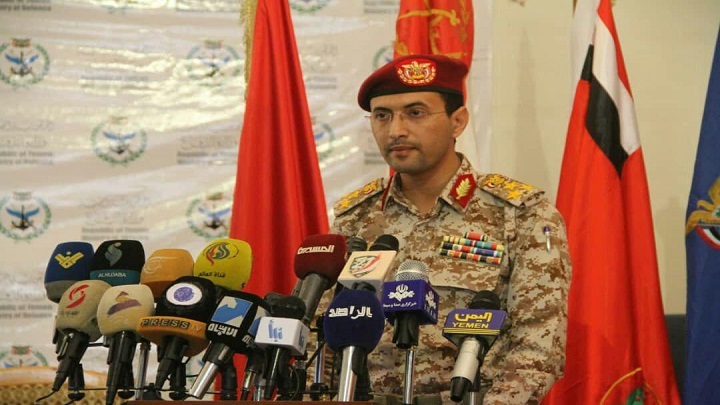 Yemeni army forces’ spokesman said that Yemen is capable of launching dozens of domestically-designed ballistic missiles simultaneously in Riyadh and Abu Dhabi , main parts of the Saudi-led coalition, backed by the US, and that the military manufacturing unit is constantly evolving the domestic industry in retaliation for the war being waged against the country by Saudi Arabia and its regional allies, including the United Arab Emirates. ” We have ballistic missile systems able to hit targets accurately without being intercepted by enemy systems” He confirmed. HE, on Saturday, revealed a new statistic for the coalition against Yemen in four years. He added that the Air Force operations started during the second year of the war, pointing out that the operations of the manufacturing and producing are continuing and subjected to constant development processes. The Air Force has carried out 164 operations, and 1,362 surveillance and monitoring of enemy targets. He pointed out that we have aerial photographs and coordinates of dozens of headquarters and military bases of the enemy. “The legitimated targets of our forces extend to the capital of the Saudi regime and to Abu Dhabi,” he stated. General Yahya Sare’e, said that the Engineering Unit and the Anti-Armor Unit have succeeded in executing nearly nine thousand quality operations. He stressed that the Engineering and Armor Operations destroyed at least seven thousand armored, military machinery and bulldozers, pointing out that the Army Media documented over 5069 machinery and armored vehicles destruction. He pointed out that most of the enemy’s destructive machinery in Yemen are American, British and French made. Brigadier Yahya Sare’e said that the Air Defenses have succeeded in downing 19 Apache helicopters in the 4 years, while more than eighty-six missions were successfully dealt. Video Footage released on late Saturday by the military media of the Yemeni army shows missile force firing a barrage of missiles on gatherings of Saudi army and its paid fighters in Jizan region. The video also showed the wreckage of a Saudi military pickup after being destroyed with an improvised explosive device in the eastern part of Nar Mountain. The Yemeni army missile force also launched on Saturday five missiles type Zilzal-1 to the paid fighters in Asir region.The five missiles targeted gatherings of the paid fighters during their attempt to attack army’s sites off Qais mountain. In March 3, More than 80 paid fighters loyal to the coalition were killed, while others were injured in a ballistic strike targeting their gatherings in the Midi border district of Hajjah province, northern Yemen, Yemen’s army spokesman Yahya Saree wrote on his official social media page. According to the army spokesman, Yemen’s missile force fired a ballistic missile on Saturday night, targeting gatherings of Saudi troops and its paid fighters in Midi area, where they were preparing for large scale attacks towards Hiraan and Haradh districts. Over 80 paid fighters were killed and wounded as a result of the attack. Saree confirmed that the ballistic strike was precise, as dozens of cars were seen rushing to the targeted sites to transport the dead and wounded towards Jizan, amid intensive flying of various types of aircrafts. The Spokesperson pointed out that the strike caused a state of extreme horror and confusion in their ranks. In a separate contexts, Yemen’s Ministry of the Interior broadcasted a recorded voice message and photograph of Abu Abdullah al-Masri, the self-declared “Emir of al-Qaeda in Taiz”, after he was arrested by Yemeni forces days ago. “The Emir of al-Qaeda in Taiz has made serious confessions about the organisation’s relationship with the Saudi-led coalition and the armed militias in the city of Taiz,” the Interior Ministry’s Security Information Center said. Security services in Taiz province arrested the so-called Emir together with one of the leaders of the invading coalition’s armed paid fighters days ago in a qualitative security operation in the north-west of Taiz province. He oversaw several al-Qaeda terrorist operations, including executions, floggings, assassinations and armed robberies against banks and shops. On Friday, the Yemeni Security Media Center broadcasted a video confession of four al-Qaeda members arrested by security services in Al-Bayda province on March 13. The Yemeni security services on Sunday arrested one of the most dangerous elements of al-Qaeda in Taiz province.The arrested was accused of committing a number of crimes and bombing of shrines, mosques and Islamic monuments in the province. Farhan, one of al-Qaeda cell member in Taiz city, revealed that Islah Islamic political party (Muslim Brotherhood) and Saudi-backed exiled Hadi’s authorities have strong relations with al-Qaeda organization in Yemeni southern provinces.